At the end of 2012 the feature film Life of Pi hit the cinema screens. It is based on a prize-winning book by Yann Martel, first published in Canada in 2001 after a series of rejections. 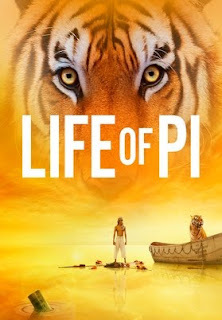 The book and film tell the unlikely story of Piscine Molitor ‘Pi’ Patel, an Indian boy who suffers shipwreck and survives 227 days on a lifeboat in the Pacific Ocean with a Bengal tiger. The film’s director is Ang Lee. It is beautifully shot and a cinematic triumph. In 2010, Barack Obama wrote to the author calling his book ‘an elegant proof of God, and the power of storytelling’. On one level the book is positive. In one place, for example, the question is asked quite reasonably: ‘If you stumble about believability, what are you living for? Love is hard to believe; ask any lover. Life is hard to believe; ask any scientist. God is hard to believe; ask any believer. What is your problem with hard to believe?’ There is a recognition that, as attractive as doubt may seem, ‘to choose doubt as a philosophy of life is akin to choosing immobility as a means of transportation’. The film creates interest on several levels and evangelical Christians will find many topics to discuss among themselves or with unbelievers who have read the book or seen the film. The narrative can be divided into three parts. The central and dominating part of the film is the shipwreck and Pi’s experiences at sea. This is, in turns, gripping, shocking and thought-provoking. Man’s instinct for survival and our utter dependence on God come to the fore here. It is to God that Pi apparently cries in the midst of his desperate need; and where else could he have turned? At the beginning, Pi describes his early life growing up in Pondicherry, French India, where his father owned a zoo. Of particular interest is the way he is raised as a Hindu by his mother, while constantly being challenged by his agnostic father. In his teens he is introduced first to Catholic Christianity and then Islam. Despite his father’s scepticism, he claims to follow all three religions as he ‘just wants to love God’. Typical of many today, he wants to accept all the religions and reject none, an utter impossibility in reality. In the closing part of the film, officials speak to Pi about why the ship sank. They are sceptical about his story, so he gives them an alternative - an altogether more prosaic and much less attractive version of events. He asks which of the stories they prefer and claims that the truth does not matter, given that he had clearly been shipwrecked and survived. Thinking Christians will immediately baulk at his statement ‘and so it goes with God’. Crafting stories is a difficult and serious business. Authors are always trying to push the envelope. However, to have any credibility, they have to deal with reality and that is perhaps what makes the film most interesting. Despite the author’s postmodern outlook, which he projects on to the protagonist, he has to deal with reality. Bananas do float, for example, but a carnivorous island seems less likely. The role of the tiger is particularly interesting in this respect. He is utterly realistic and so is both a great help and, in the end, a disappointment to Pi. At the same time, there is a sleight of hand at play and we must be alert to that. In the book, Martel actually confesses that he believes that fiction is ‘the selective transforming of reality’ and ‘the twisting of it to bring out its essence’. So, when he says, ‘I challenge anyone to understand Islam, its spirit, and not to love it. It is a beautiful religion of brotherhood and devotion’, we know that as well structured as this statement may be, it is simply false. This article originally appeared in Evangelical Times.